We’re well into summer and many are out soaking up the sun and enjoying the summer activities we crave. 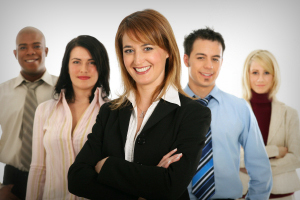 You may want to capitalize on these activities by increasing brand awareness through advertising specialty items. While you can emblazon your logo on nearly anything, it’s important that you think of items that people will actually want and use. Here are a few ideas for summer advertising specialty items. Think about what people pack for a trip to the beach or when they set sail on the nearest body of water. Towels, Frisbees, water bottles, sunglasses, sunscreen and flip-flops are essential items. Just set your budget, decide how many items you want to give and soon your brand will be basking in the sun. Many deals are made on the golf course. When your customers are ready to tee off, get your brand on the top of their mind by placing your logo on the golf ball. Because golf is a popular business sport, you can brand a number of items including, hats, towels, tees, ball markers and divot repairers. There’s practically an item for any budget. Seems like Independence Day marks the beginning of the end of summer. Those that have been waiting a slow, painful agony for football season to start will soon have their day at a tailgate. It’s going to be time to fire up the grills and cheer on our favorite teams. Think ahead and be a part of their celebration. Keep their team colors ketchup-free with an apron and their drinks of choice cold with a koozie. You could also consider coolers, mini fans and stadium seats. Just be cautious of regulations surrounding the use of official team logos and mascots when deciding your advertising specialty items. 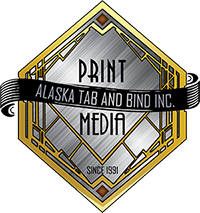 Alaska Tab & Bind, Inc.